A gay couple from Florida say they were discriminated against by a Southwest Airlines gate agent when they were denied access to pre-board with their three young children. I feel as though we were profiled the minute we walked up the boarding area. This gate agent immediately approached my spouse and said this is for family boarding only, and my spouse looked up and said, ‘Well, we are a family. It’s myself, my spouse, and our three children.’ She said it’s family boarding only and got very sarcastic. Morse says this is the first time anything like this has ever happened to him. But Morse says the vague language of the family boarding policy is not the issue. It was how the gate agent told him “only families” were permitted, as if to imply his family somehow didn’t count. To add insult to injury, he says, Southwest sat his 83-year-old mother, who he describes as “frail,” in an emergency exit seat instead of next to him. The Southwest spokesperson said if his mother needed additional assistance, they should have requested that before hand. If Southwest’s policy is only one adult per child, then they *never* follow that. Every family boarding (including my husband, son and I) always go as a unit. I have seen them tell grandparents to wait normally, but they never split up parents (and I’ve traveled Southwest in the family lane a lot). Seems like the gate agent had an issue and the airline is trying to hide behind a policy that they never enforce. They ought to apologize, talk to that agent and ensure all gate agents know the *real* rules. But that’s exactly what they did. Both father’s and their children were allowed to board while the grandmother had to board separately. Don’t bother actually reading about what happened. It’ll spoil your faux social media outrage. Much better to just automatically blame the airline for something they didn’t do, amirite? Bromancer7, they made the wait instead of allowing them to board with other families with children. It’s a common practice of Southwest to allow families to board after the “A” group so that it does not tie up the boarding process. And they always allow both “mother and father” to board with their children. The “one parent” is BS. They’re just trying to salvage a screwup. I fly Southwest all the time so as a customer I can say what I’ve seen on MANY OCCASIONS. It’s funny, you alternate screenames of the Trump troll, ALWAYS take the side of whoever is not LGBT in any interaction about bigotry. You lied about what happened here just so you would have an excuse to say that they weren’t discriminated against. Nice try. WTF is going on with all these airlines. This 20f*cking17, air travel should be the easiest way to travel, but it gets more and more difficult every year…..GEEZ. Don’t put this on the company, especially those in the airline industry who have always been LGBT friendly both to customers and workers. Douche bags exist and they work in all sectors of the economy. The airlines have been like this for years. People are just now speaking out. The gate agent should be fired for humiliating the Southwest brand. That kind of homophobia should be relegated to Salt Lake City. I get the impression that people feel empowered to exercise their hateful notions ever since Drumpf got elected. If the airline doesn’t fire the staff member in question then they are basically supported and LGBT bigotry and should be boycotted. Not taking any action is as bad as perpetrating the offence themselves. Any court will tell you that the policy doesn’t matter if the policy is routinely ignored. Southwest said that although the policy said one adult the gate agents very often allow two parents to board. Southwest just admitted that they are aware of this which means the policy is not an excuse because any court will toss it out if it is only enforced arbitrarily. Additionally, they let a different family on. This is an easy one, Southwest has already admitted the incident, they are using as an excuse a policy that they already admitted is rarely enforced. They need to fire the staffer or pay off the couple because they will lose if they litigate this one in front of any judge who isn’t a bigot. What will be the basis for suing though? Sue to force them to have a solid policy that is always followed, and base the suit on discrimination. 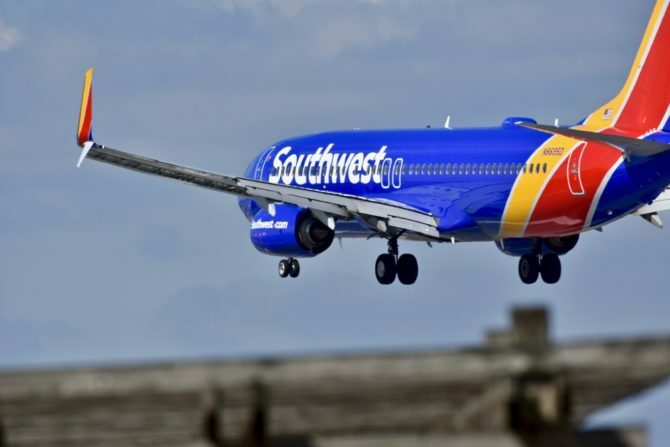 Southwest will change the policy rather than go to court on it. Obviously, it was an individual employee with a homophobic problem. Probably a mean barren Christian type like on The Handmaiden’s Tale, lol. It seems more alarming they would seat grandma in an emergency exit. If you are unable to perform duties in an emergency or don’t want to etc etc. That sounds like they broke the law. preboard is only for people with special needs f-tards! they make an anouncment people needing special assitance i.e penut dust alergy, broken arm or leg, and wheels chairs only! unless your children or your spouce was freaking special needs then you had no buisness going before the rest of the other passangers, they have family boarding if you or your family did not get an A boarding pass! so smimmer down and take the silver spoon out you entitled mouth! Its the airline industry you can’t pick your nose with out finding a gay! they probbaly asked you “frail” mother is she was fine with assisting people during an emergency if she said yes there would be no need to move her unless she couldnt hear when they asked her? The policy as written seems wholly unenforceable. Is a single parent traveling with a 4yo and an 8yo supposed to leave their 8yo standing in the terminal while they board with the 4yo? Is one parent supposed to struggle with a child under 6 and all the trappings (strollers, diaper bags, their carry on, the kids carry on, and who knows what else) while the 2nd parent sits in the lobby with the kid over 6yo and their trappings? You also don’t have to be family to be traveling with a child. What if you went to a trade show and your neighbor watched your 5yo? You decide to fly them both down to spend the weekend at the beach. They can’t board early because they don’t meet this clerks definition of family. honte à cet agent de son comportement(licenciement )et d’avoir séparé la personne agée de sa famille..